Designed for tractors up to 60 hp. 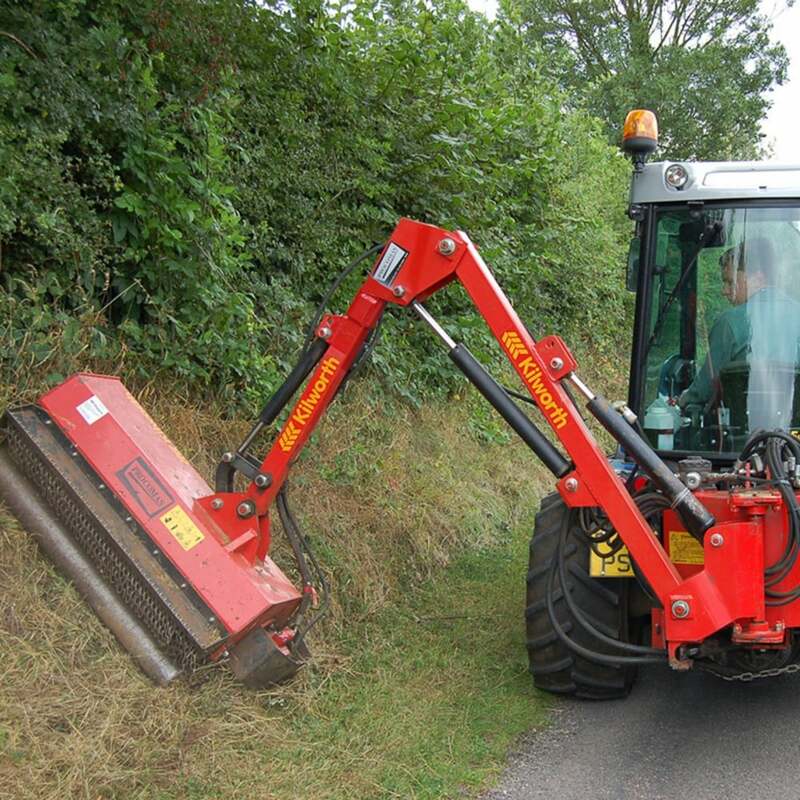 Models BS72 and BS82 have a bi-directional cutting head and will cut either side of the tractor. The arm moves from side to side hydraulically and folds tightly behind tractor. This is particularly useful when working in areas with restricted access such as canal towpaths.